The Forex Blue Box 300 Balikbayan Box is back. 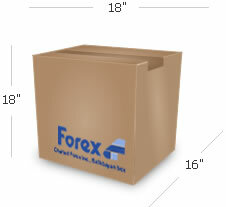 It measures 18 x 18 x 16, this is commonly known as the Forex Medium Balikbayan Box. The Forex Blue 300 : Please call for price.